Ketogenic diet, ketone esters (also see Therapeutic use of ketogenic diet and exogenous ketone bodies), or βOHB administration exert neuroprotection in models of ischemic stroke (Rahman et al., 2014); Parkinson’s disease (Tieu et al., 2003); central nervous system oxygen toxicity seizure (D'Agostino et al., 2013); epileptic spasms (Yum et al., 2015); mitochondrial encephalomyopathy, lactic acidosis and stroke-like (MELAS) episodes syndrome (Frey et al., 2016) and Alzheimer’s disease (Cunnane and Crawford, 2003; Yin et al., 2016). 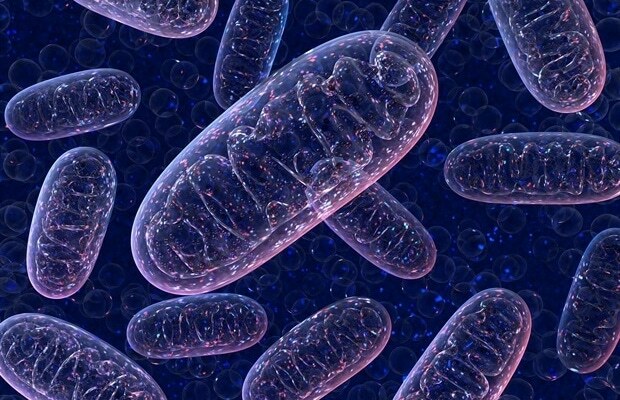 Conversely, a recent report demonstrated histopathological evidence of neurodegenerative progression by a ketogenic diet in a transgenic mouse model of abnormal mitochondrial DNA repair, despite increases in mitochondrial biogenesis and antioxidant signatures (Lauritzen et al., 2016). Other conflicting reports suggest that exposure to high ketone body concentrations elicits oxidative stress. 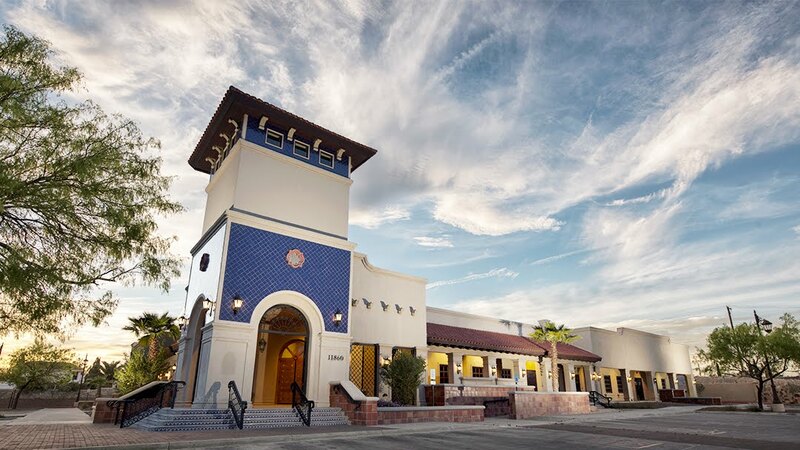 High βOHB or AcAc doses induced nitric oxide secretion, lipid peroxidation, reduced expression of SOD, glutathione peroxidase and catalase in calf hepatocytes, while in rat hepatocytes the MAPK pathway induction was attributed to AcAc but not βOHB (Abdelmegeed et al., 2004; Shi et al., 2014; Shi et al., 2016). The applications of ketogenic diets and ketone bodies as therapeutic tools have also arisen in non-cancerous contexts including obesity and NAFLD/NASH (Browning et al., 2011; Foster et al., 2010; Schugar and Crawford, 2012); heart failure (Huynh, 2016; Kolwicz et al., 2016; Taegtmeyer, 2016); neurological and neurodegenerative disease (Martin et al., 2016; McNally and Hartman, 2012; Rho, 2015; Rogawski et al., 2016; Yang and Cheng, 2010; Yao et al., 2011); inborn errors of metabolism (Scholl-Bürgi et al, 2015); and exercise performance (Cox et al., 2016). The efficacy of ketogenic diets has been especially appreciated in therapy of epileptic seizure, particularly in drug-resistant patients. 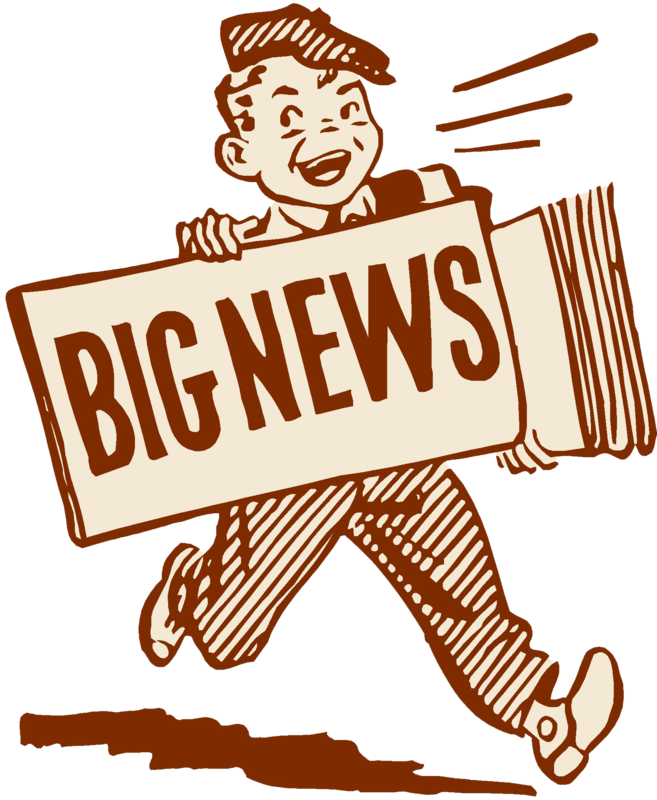 Most studies have evaluated ketogenic diets in pediatric patients, and reveal up to a ~50% reduction in seizure frequency after 3 months, with improved effectiveness in select syndromes (Wu et al., 2016b). The experience is more limited in adult epilepsy, but a similar reduction is evident, with better response in symptomatic generalized epilepsy patients (Nei et al., 2014). Underlying anti-convulsant mechanisms remain unclear, although postulated hypotheses include reduced glucose utilization/glycolysis, reprogrammed glutamate transport, indirect impact on ATP-sensitive potassium channel or adenosine A1 receptor, alteration of sodium channel isoform expression, or effects on circulating hormones including leptin (Lambrechts et al., 2016; Lin et al., 2017; Lutas and Yellen, 2013). 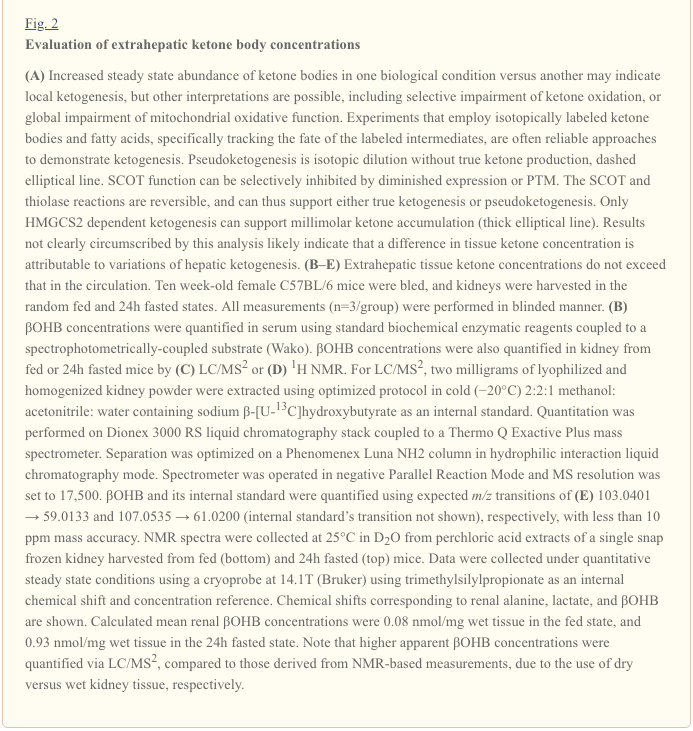 It remains unclear whether the anti-convulsant effect is primarily attributable to ketone bodies, or due to the cascade metabolic consequences of low carbohydrate diets. Nonetheless, ketone esters (see below) appear to elevate the seizure threshold in animal models of provoked seizures (Ciarlone et al., 2016; D'Agostino et al., 2013; Viggiano et al., 2015). 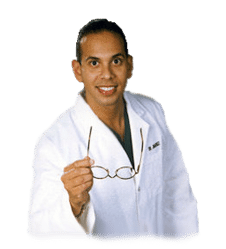 Mechanisms increasing ketosis through mechanisms alternative to ketogenic diets include the use of ingestible ketone body precursors. Administration of exogenous ketone bodies could create a unique physiological state not encountered in normal physiology, because circulating glucose and insulin concentrations are relatively normal, while cells might spare glucose uptake and utilization. 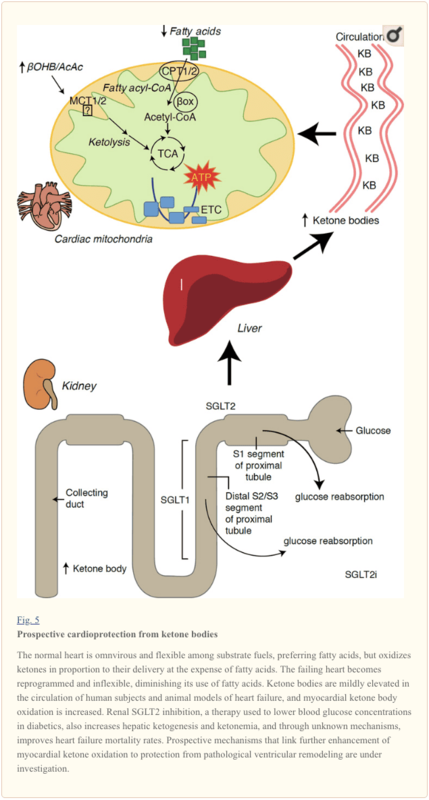 Ketone bodies themselves have short half-lives, and ingestion or infusion of sodium βOHB salt to achieve therapeutic ketosis provokes an untoward sodium load. R/S-1,3-butanediol is a non-toxic dialcohol that is readily oxidized in the liver to yield d/l-βOHB (Desrochers et al., 1992). In distinct experimental contexts, this dose has been administered daily to mice or rats for as long as seven weeks, yielding circulating βOHB concentrations of up to 5 mM within 2 h of administration, which is stable for at least an additional 3h (D'Agostino et al., 2013). Partial suppression of food intake has been observed in rodents given R/S-1,3-butanediol (Carpenter and Grossman, 1983). In addition, three chemically distinct ketone esters (KEs), (i) monoester of R-1,3-butanediol and d-βOHB (R-3-hydroxybutyl R-βOHB); (ii) glyceryl-tris-βOHB; and (iii) R,S-1,3-butanediol acetoacetate diester, have also been extensively studied (Brunengraber, 1997; Clarke et al., 2012a; Clarke et al., 2012b; Desrochers et al., 1995a; Desrochers et al., 1995b; Kashiwaya et al., 2010). An inherent advantage of the former is that 2 moles of physiological d-βOHB are produced per mole of KE, following esterase hydrolysis in the intestine or liver. Safety, pharmacokinetics, and tolerance have been most extensively studied in humans ingesting R-3-hydroxybutyl R-βOHB, at doses up to 714 mg/kg, yielding circulating d-βOHB concentrations up to 6 mM (Clarke et al., 2012a; Cox et al., 2016; Kemper et al., 2015; Shivva et al., 2016). In rodents, this KE decreases caloric intake and plasma total cholesterol, stimulates brown adipose tissue, and improves insulin resistance (Kashiwaya et al., 2010; Kemper et al., 2015; Veech, 2013). Recent findings indicate that during exercise in trained athletes, R-3-hydroxybutyl R-βOHB ingestion decreased skeletal muscle glycolysis and plasma lactate concentrations, increased intramuscular triacylglycerol oxidation, and preserved muscle glycogen content, even when co-ingested carbohydrate stimulated insulin secretion (Cox et al., 2016). Further development of these intriguing results is required, because the improvement in endurance exercise performance was predominantly driven by a robust response to the KE in 2/8 subjects. Nonetheless, these results do support classical studies that indicate a preference for ketone oxidation over other substrates (GARLAND et al., 1962; Hasselbaink et al., 2003; Stanley et al., 2003; Valente-Silva et al., 2015), including during exercise, and that trained athletes may be more primed to utilize ketones (Johnson et al., 1969a; Johnson and Walton, 1972; Winder et al., 1974; Winder et al., 1975). Finally, the mechanisms that might support improved exercise performance following equal caloric intake (differentially distributed among macronutrients) and equal oxygen consumption rates remain to be determined. Clues may emerge from animal studies, as temporary exposure to R-3-hydroxybutyl R-βOHB in rats was associated with increased treadmill time, improved cognitive function, and an apparent energetic benefit in ex vivo perfused hearts (Murray et al., 2016). 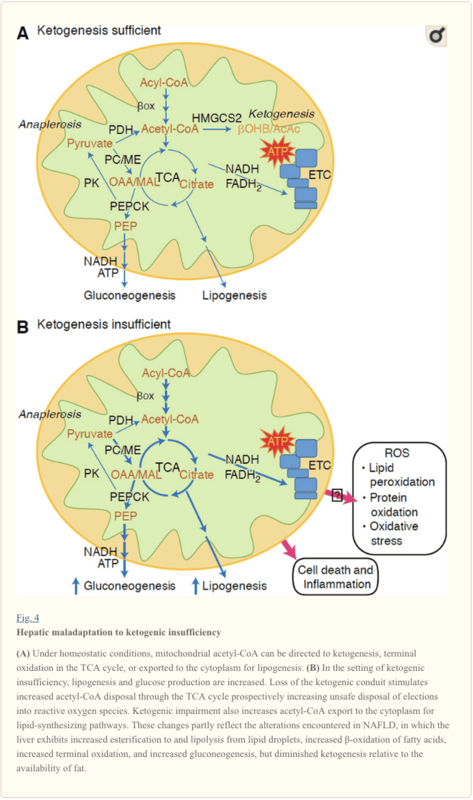 Once largely stigmatized as an overflow pathway capable of accumulating toxic emissions from fat combustion in carbohydrate restricted states (the ‘ketotoxic’ paradigm), recent observations support the notion that ketone body metabolism serves salutary roles even in carbohydrate-laden states, opening a ‘ketohormetic’ hypothesis. 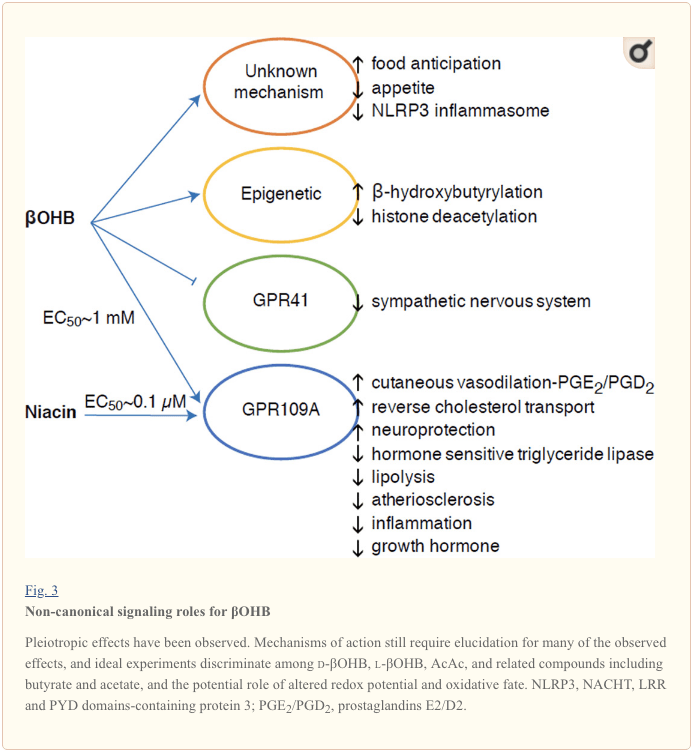 While the facile nutritional and pharmacological approaches to manipulate ketone metabolism make it an attractive therapeutic target, aggressively posed but prudent experiments remain in both the basic and translational research laboratories. 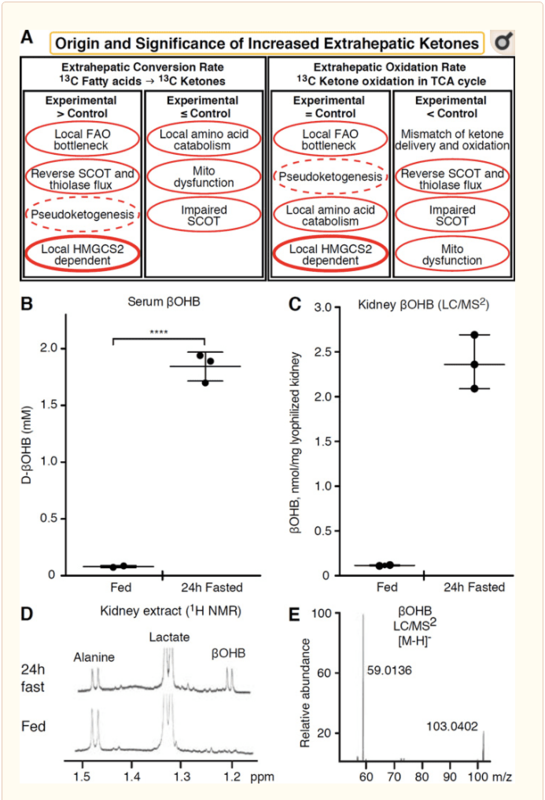 Unmet needs have emerged in the domains of defining the role of leveraging ketone metabolism in heart failure, obesity, NAFLD/NASH, type 2 diabetes, and cancer. 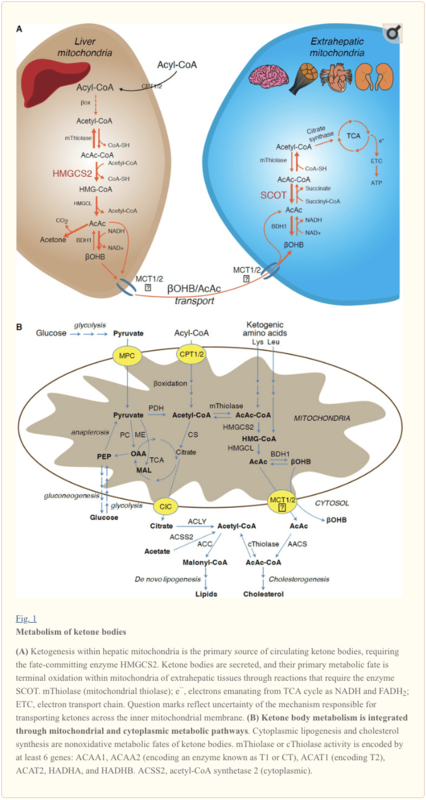 The scope and impact of 'non-canonical’ signaling roles of ketone bodies, including regulation of PTMs that likely feed back and forward into metabolic and signaling pathways, require deeper exploration. Finally, extrahepatic ketogenesis could open intriguing paracrine and autocrine signaling mechanisms and opportunities to influence co-metabolism within the nervous system and tumors to achieve therapeutic ends.